West Cecil Health Center (WCHC) is helping patients smile a bit wider after launching its brand-new Smiles Fund campaign to help qualified dental patients receive services they otherwise could not afford. 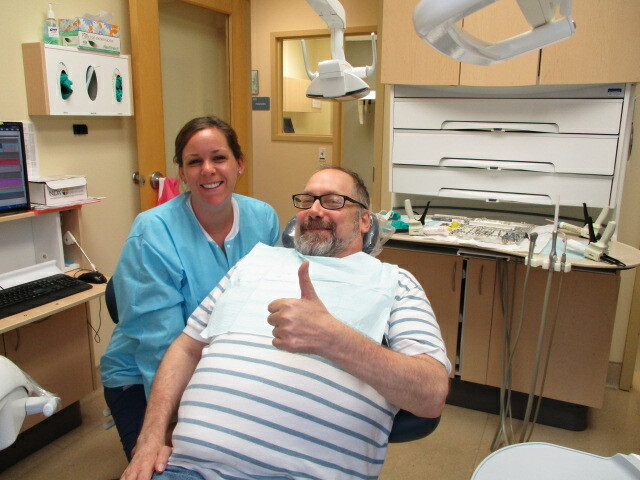 Thanks to previous fundraising efforts, WCHC was able to create this new campaign that offers assistance to qualified underinsured, underserved and non-insured WCHC dental patients to receive necessary dental procedures such as crowns, root canals, a bridge or full/partial dentures. Oral health directly impacts overall health in children and adults, and some research suggests a direct link to diseases such as endocarditis and cardiovascular disease, as well as premature birth and low birth weight of babies born to mothers with periodontitis. Oral hygiene not only impacts a person’s ability to eat nutritiously, but many patients have reported they feel their smile has hindered them in finding employment as well. Access to oral health care is a serious issue for low-income adults and families, and tooth loss and periodontal disease are listed amongst the most prevalent oral health issues in Maryland adults, as reported in the Maryland Oral Health Plan. Despite the importance of oral hygiene, Medicaid only covers limited services for adults. Restorative services can be costly, and without dental coverage, many patients are left without options. In 2017, WCHC served 633 Medicaid and uninsured patients combined who opted for an extraction versus a root canal or crown, due to the expense. These underserved groups make up 48 percent of the patient population at WCHC. Programs like WCHC’s Smiles Fund helps people like Kathryn, whose brother (who wishes to remain anonymous for privacy reasons) lives in a group home in Harford County on very limited resources. Kathryn’s brother was married with a successful career for more than 30 years before developing a severe memory disorder that can present with loss of muscle coordination and vision changes. With failing health and limited resources, his sister, Kathryn, initially didn’t know where to turn. When a new WCHC dental clinic opened in Perryville in 2017, she made an appointment, and staff told her about the Smiles Fund. Diagnosed with chronic moderate periodontal disease, Kathryn’s brother was facing extractions of multiple teeth which would result in him needing a partial denture. Dental work began in January 2018 with a deep cleaning, and after receiving Smiles Fund approval, has now begun preparations to save his existing teeth with crowns; a choice that would not have been available to him otherwise. WCHC needs the community’s support to keep the Smiles Fund available to patients in need. As a Federally designated Community Health Center, WCHC is a 501(c)(3) nonprofit that relies on grant funding and the generosity of donors to support its mission of ensuring every person in need of healthcare is able to receive it. To donate to the WCHC Smiles Fund, visit westcecilhealth.org/smiles; for more information about WCHC, call 410.378.9696, “like” West Cecil Health Center on Facebook or visit westcecilhealth.org.